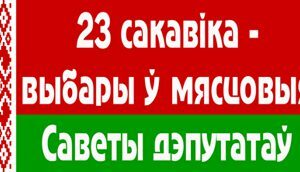 On March 23 votes will be cast for over 20,000 seats in regional and local councils in Belarus. These elections are unlikely to be any more free, fair or competitive than recent parliamentary and presidential elections, or the 2010 local elections in which only ten opposition activists, primarily in villages, were able to take council seats. Belarusian authorities appear determined to undermine a competitive electoral process by denying opposition candidates access to the ballot, monopolising positions on election commissions, and creating an atmosphere of intolerance for dissenting political voices. Within this context, the primary motivation of parties, movements and independent candidates participating in these elections is to use the legal opportunities provided by local elections to engage citizens, strengthen political structures, promote national platforms and push local advocacy efforts. Campaigning also provides an opportunity to highlight limits on public participation in decision-making and the absence of free elections in the country. Seven of Belarus’ major political parties and movements, including Belarus Christian Democrats (BCD), Belarus Popular Front (BPF), Belarus Social Democrats-Gramoda (BSDPG), For Freedom Movement (FFM), Green Party, Party of Freedom and Progress (PFP) and Tell the Truth, have joined forces under a poll watching and observation campaign known as Right to Choose. The Right to Choose campaign will seek to deploy a minimum of 1,000 observers in districts where independent candidates are running. They will observe the voting process and advocate against electoral fraud. Their campaign will also seek to educate the public about the true state of the elections and encourage greater citizen involvement in defending the vote. Other organisations monitoring these elections include Human Rights Defenders for Free Elections, Election Observation Theory and Practice, Electby.org and observers from Just World, United Civic Party (UCP) and a number of other regional organisations. The monitoring efforts of these groups are strengthened through joint coordination and information sharing. The candidate registration process closed on February 20. Belarusian opposition political parties and movements report large numbers of their candidates were denied registration and access to the ballot. According to the poll-watching partnership Right to Choose, candidate disqualification was particularly high in districts where their candidates were planning to deploy election monitors. 109 of the 218 candidates participating in the observation effort (exactly 50%) were denied registration. According to Right to Choose representatives, most of their strongest candidates were refused ballot access. In Homel, the authorities were particularly restrictive. Local authorities rejected 31 out of 36 Right to Choose candidates. In total, they rejected 61 candidates intending to run for city council. In addition, Homel authorities denied registration to grassroots activist and For Freedom parliamentary candidate Halina Kravchenko. The official reason cited for Kravchenko’s registration denial was falsified signatures. Kravchenko, who collected signatures herself, will appeal the decision. The Homel parliamentary seat has been vacant since 2012 due to a corruption scandal. Reports from individual political organizations show that candidate registration ranged from 21% on the low end (Tell the Truth) to 74% on the high end (Just World). Candidates have until February 24 to appeal the district election commissions’ decisions. Many political parties have announced plans to appeal (BCD – 20 appeals, FFM – 10 appeals, Just World – 11 appeals, and Tell the Truth – up to 200 appeals). Results of the appeal process will be announced by February 28. As in previous elections, the majority of opposition parties’ nominations to election commissions were rejected. Political parties Just World, BSDP-G, UCP, BPF, BSDPG nominated commissioners to Territorial Election Commissions (TECs) and District Election Commissions (DECs). Out of 42 commissioners nominated to TECs, only five were accepted; only eleven out of 185 were registered to DECs. The seven political forces participating in Right to Choose​ nominated 21 Precinct Election Commissioners; only eight were accepted. As a result, the vast majority of election commissions will operate without representation from opposition candidates and parties. In Minsk, for the first time, none of the democratic parties’ commissioner nominees were included at any commission level. A distinguishing feature of these local elections is that they will be held in accordance with the newly revised Election Code. The new Election Code prohibits public funding for candidate leaflets. Instead, the commissions will now print informational brochures about each candidate and deliver them directly to the voters without any input by the candidates. New provisions also allow registered candidates to set up private campaign funds and raise small amounts of money during the month between registration and Election Day. In a small positive development, the Central Election Commission interpreted the new Election Code to allow national offices of parties and NGOs to nominate observers to serve at any polling place in the country. Previous interpretations suggested that the new Election Code would limit observers to monitor only their home districts. On 5 February, Lukashenka’s economic advisor Kiryl Rudy published his ideas in the National Strategy of Sustainable Social and Economic Development until the year 2030. A young economist with an academic background and experience working in China is supposed to transmit the Chinese experience of economic development to the gradually declining Belarusian model. His ideas indeed appeared to be fresh for Belarus, although they are also widely used by other governments and have been for some time. For example, he suggested to focus on the high-tech sector of the economy, and boost the potential of the Belarusian workforce by educating Belarusians in the best universities in the world and attracting internationally successful compatriots to invest in Belarus. However, experts and the general public received these ideas with a fair amount of scepticism. They agree that no external factors can change the Belarusian model unless the inner system of government itself changes. A good example of this occurred recently when Lukashenka accepted that the Belarusian government failed in properly developing the Belarusian-Chinese Industrial Park, seen as a strategic project for the economy. 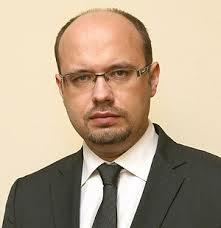 On 10 June 2013, 35-year old Kiryl Rudy was appointed Lukashenka’s economic advisor. He replaced Siarhiej Tkačoŭ, who often spoke of Stalin's economic model as an example for economic development. Rudy presents has had a rather unusual career path for a Belarusian official. He does not come from the Soviet nomenclatura or security services. A successful young scholar, Rudy received his candidate of science degree (a near equivalent of a western Ph.D) at age 23 and the more advanced doctoral degree at 33, specialising in finance and loans. Moreover, Rudy was on a Fulbright fellowship at the University of Chicago. He became the youngest person occupying a senior position in the Belarusian government, and in fact the only one, who has studied in the US. Former Head of National Bank and oppositional United Civic Party member Stanislaŭ Bahdankievič remembers him as a smart, modern, hard-working student who successfully defended his thesis. It would be great if the government lends an ear to what he has to say. Such people should be involved in the government,” Bahdankievič said about Rudy. In recent years Rudy worked as economic adviser at the Belarusian embassy in China. He also participated in the elaboration of the Belarusian-Chinese Industrial Park project. Later, he worked on a Chinese business project in Belarus as the deputy director for the Bel Huawei Technologies company. During Rudy’s appointment Lukashenka pointed out that Belarus is interested in taking the Chinese path for its economy and could learn much from its experience of economic development. Therefore, his appointment can be considered an attempt to extend relations with China and introduce Chinese experience to the steadily declining Belarusian economic model. In December 2013, the government established a working group to develop a National Strategy of Sustainable Social and Economic Development until the year 2030. Kiryl Rudy became one of the leaders of the group. On 5 February, he published his ideas for the strategy in the largest official newspaper Sovetskaya Belorussia (Soviet Belarus). Rudy thinks that Belarus can take the Global competitiveness index as a benchmark and set a goal to get into the top 30 of the index by 2030. According to Rudy, this can be achieved by focusing on a few key sectors of the economy that can benefit Belarus the most. Among them he names four – first, services (construction, transport, trade), traditionally the sector of small and medium private businesses. Second, energy, and particularly nuclear power plants and related projects. Third, the high-tech sector, which is supposed to be developing through the Belarusian-Chinese Industrial Park project. And fourth, informational technologies, where Belarus has a good educational infrastructure, as evidenced by the success of the Belarusian Silicon Valley. To raise the competitiveness of the Belarusian economy, Rudy thinks that the government should invest in education. Many Belarusians, who have left the country in search of work, had a strong educational background, one which they received in Belarus. Another method would be to develop local personnel through a program of government-financed training for Belarusian specialists abroad. Rudy provided examples from China and Kazakhstan as countries that are employing these very practises. "Imagine if a graduate of ours returns from a top-tier university, say Cambridge, and he is appointed the head of a department in the Minsk City Executive Committee. He would create a serious imbalance in the internal forces there, yet he would make people look at themselves and the world around from a different perspective,” Rudy said in an interview to Belarus 1 TV channel. His third idea for boosting domestic economy sparked the most comments on the Internet. Rudy suggested to attract emigrants back who left Belarus after the USSR's collapse. Many of them have become successful internationally, and could be interested in investing in Belarus, provided that favourable conditions are created here. Such public presentations of ideas for the country’s future appear all fine and dandy, as the government does not like any publicity when it comes to its own public policy making. However, experts consider them insufficient for the creation of a real strategy. 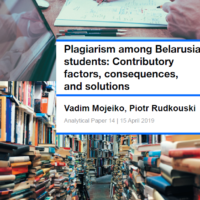 Ina Ramašeŭskaja, a research coordinator for the Belarusian Institute for Public Administration Reform and Transformation, says that Rudy's suggestions lack one essential point – a real analysis of the key problems. More precisely, what is wrong with the current personnel system, which competencies, knowledge and skills the new specialists should possess, and what specific goals they should set out to achieve. As official discourse has proven, the government regularly fails to understand this problem and does not want to publicly analyse it. It thinks the problem lies somewhere outside of the current political system, and the solution should found elsewhere. Ramašeŭskaja believes that some Belarusians who have achieved success abroad would indeed be interested in participating in Belarusian reforms, but no one is actually going to reform anything. Meanwhile, commentators on the Internet appear to be more sceptical about Rudy's idea. People say that the situation which has arisen, one where the public administration lacks the necessary qualified personnel is a natural outcome of the existing system. Consider the fact that many bureaucrats have been imprisoned for minor offences and will never ever take a public office. Many business managers have barely escaped abroad and in doing so have saved their businesses from pressure. The system excludes talented and people with initiative, but warmly welcomes loyal and passive servants. And nothing will change while the current system remains. Meanwhile, the first results of the building of the "Chinese dream" for Belarus seems to be crumbling. On 14 February Lukashenka held a council on the implementation of the Belarusian-Chinese Industrial Park project. Lukashenka expressed his dissatisfaction with the work done thus far, and called it, “another disgrace by the government.” The countries signed an agreement on the creation of the Park in 2010, and now with four years having already passed, there has been no progress made. “If the hotheads who initiated this project cooled down and think that we do not need the project anymore, just tell it straight to my face right now,” Lukashenka said. He warned the government that he will not let them finance the project from the state budget since it badly lacks the necessary funds. Lukashenka said that this should be a purely commercial project without any politics and Belarus will not take Chinese credits at 5% interest, as their Chinese partners have apparently been offering. The regime tries to engage new people in the government hoping that they will change the situation without changing the system, just by the very nature of having fresh perspectives around. But since the problem lies much deeper than this, young educated professionals will hardly make a breakthrough in a bureaucratised authoritarian environment. Belarus needs profound reforms in its government, and at the moment such reforms seem very unlikely.